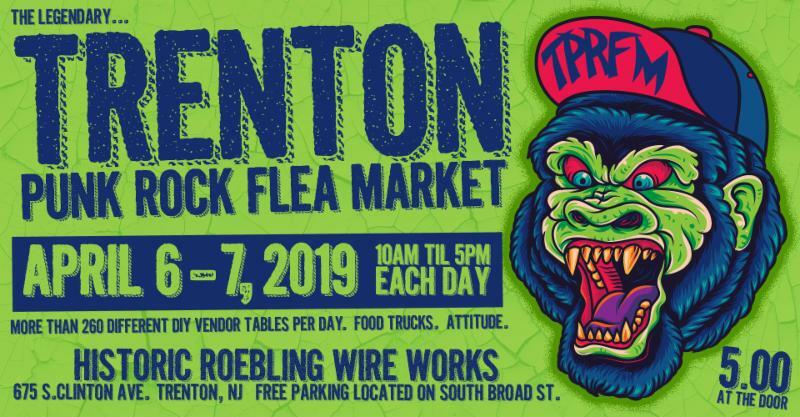 nj arts maven: TRENTON PUNK ROCK FLEA MARKET RETURNS APRIL 6-7, 2019! 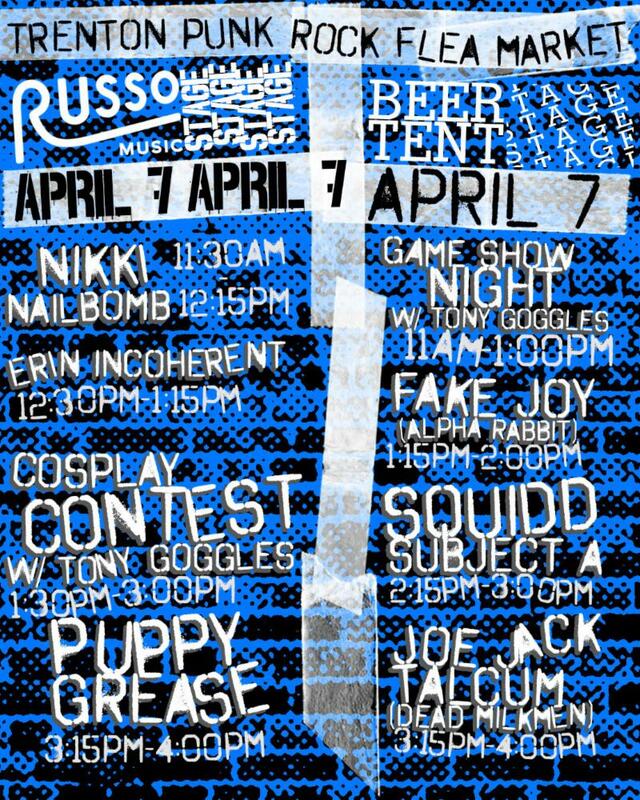 TRENTON PUNK ROCK FLEA MARKET RETURNS APRIL 6-7, 2019! WHERE: Historic Roebling Wire Works, 675 S. Clinton Ave., Trenton (free parking on S. Broad St. Featuring more than 200+ unique vendors each day from up to 21 different states and more than a dozen different food trucks per day! Meet Mike Zohn of Obscura Antiques and Discovery Channel's "Oddities" TV show, Weird NJ's Mark & Mark! Beer Garden featuring a full line of Neshaminy Creek Brewing Company beers! 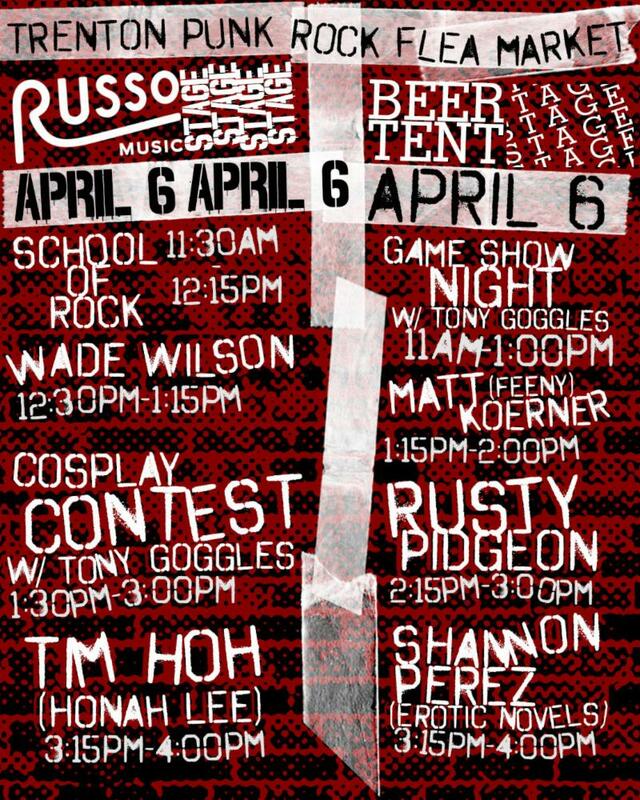 Live Music on Two Stages including Joe Jack Talcum of The Dead Milkmen! Get a $60 custom flash tattoo by Brand New Tattoo & Gallery! 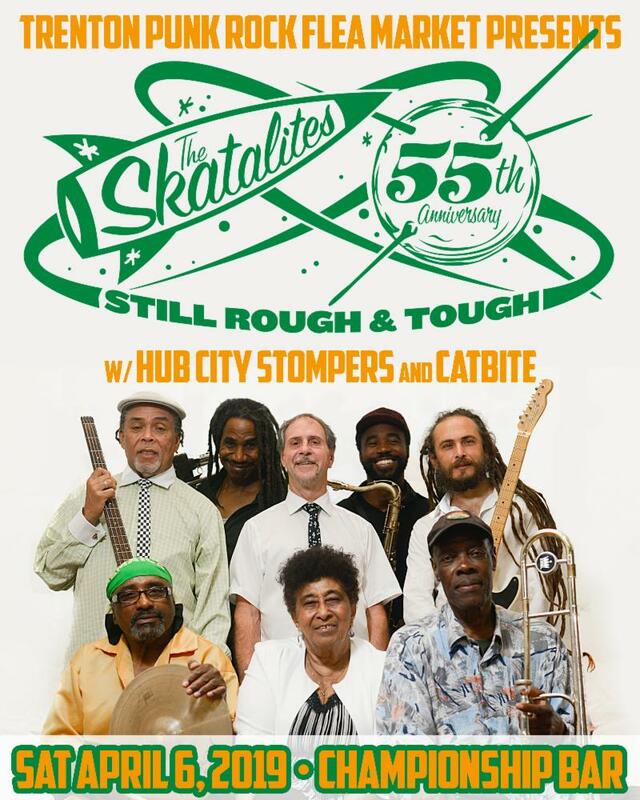 Official After Party at Championship Bar featuring legendary Ska band The Skatalites with Hub City Stompers and Catbite! Tickets are still available by clicking here! We never stop moving here at the Trenton Punk Rock Flea Market and we've got dates set up throughout the year! See below for dates of our upcoming 2019 markets! Stay tuned to our Facebook and Instagram and follow along!